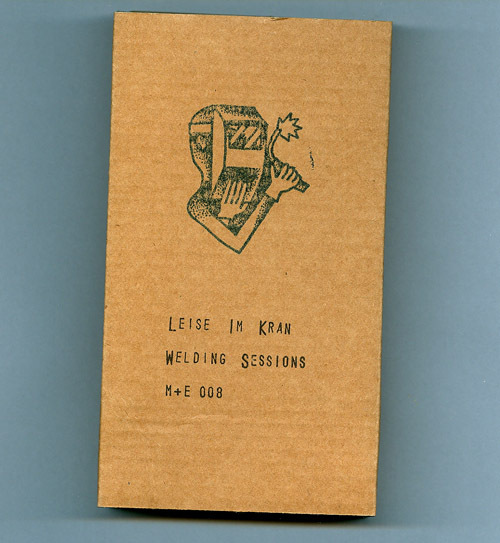 label info:"'Welding Sessions' is Leise im Kranâ€™s debut EP. A 45 min long firestorm of rough acid from start to finish, recorded in single takes with nothing more than a KORG Monotribe, an Atomosynth Mochika XL, and a Yamaha RX-5 through some effect units. 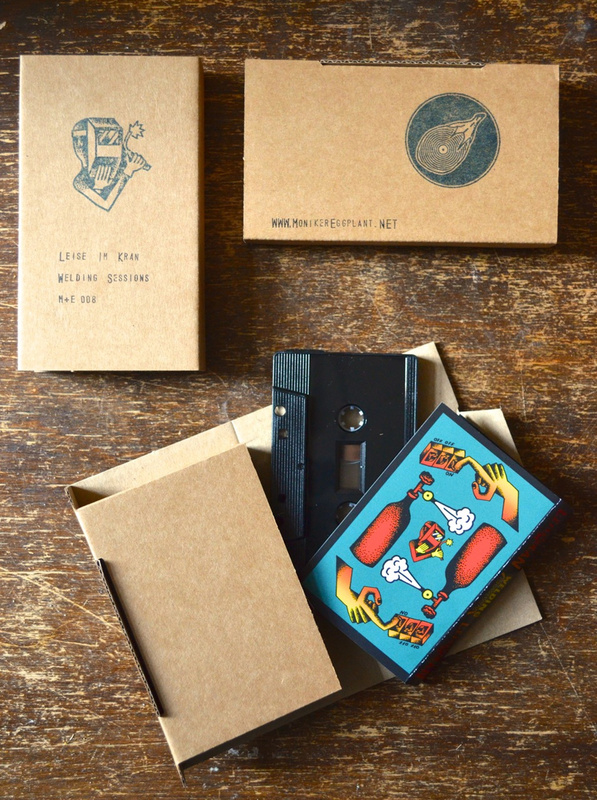 It comes as a haunting black cassette tape in a hand-stamped paper envelope. Only 50 copies available! Includes unlimited streaming of Welding Sessions via the free Bandcamp app, plus high-quality download in MP3, FLAC and more."